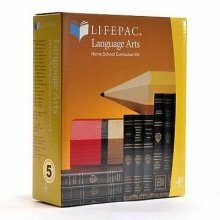 LIFEPAC Language Arts, a complete biblically-based curriculum for grades K-12, focuses on the development and integration of communication skills in reading, writing, listening, and speaking. The student materials in this program function as the learning base, supporting instruction in communication essentials for all students. LIFEPAC Language Arts includes enrichment activities and opportunities for independent study. This expands and individualizes the program based on a student's interests and abilities. .
View More In Home Schooling. If you have any questions about this product by Brand: Alpha Omega Publications (AZ), contact us by completing and submitting the form below. If you are looking for a specif part number, please include it with your message.